Who wouldn't want a 6’’ lifted Chevy? 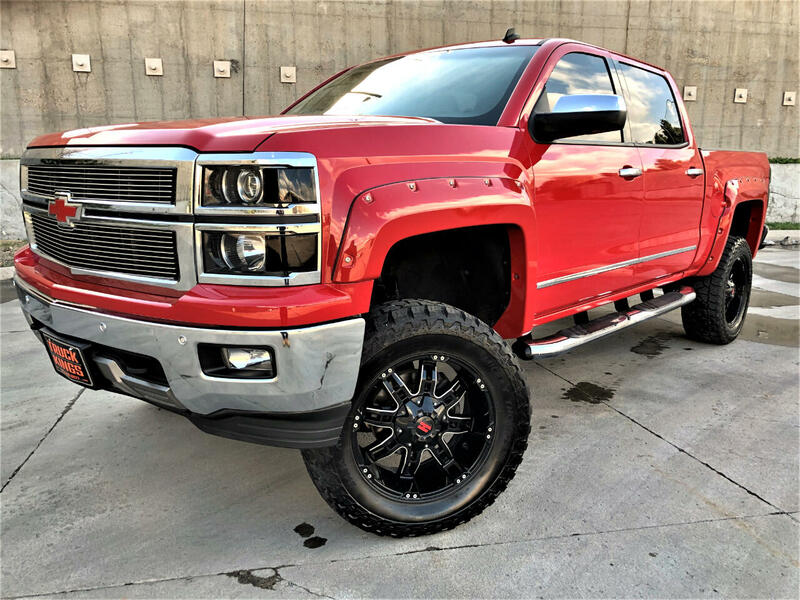 Introducing Truck Kings custom Red 2014 Chevrolet Silverado 1500 LTZ!!! *** Featuring: Commander In Chief Black Leather Interior, Power EVERYTHING, Heated Memory Seats, Heated Steering Wheel, Adjustable pedals, Power rear sliding window, Touch Screen Chevrolet MyLink Infotainment System, Heart Pounding BOSE Premium Sound System with Steering Wheel Controls, Bluetooth Connectivity and USB Auxiliary Plug Ins, Navigation, Dual Zone Climate Control, 110 Volt Power Outlet, Remote Start, Back Up Camera, Front and Rear Parking Sensors, Tow Package, Factory Integrated Trailer Brake System, Spray In Bed Liner, Step Bars, 6.2 Liter Power House EcoTech V8, 6 Speed Automatic Transmission with Tow Haul and Manual Shift Mode, On the Fly 4 Wheel Drive and MORE! THIS IS NOT THE SAME SONG AND DANCE YOU'D GET WITH A BASIC TRUCK. This LTZ will remind you why you UPGRADED YOUR LIFE with the premium package, day in, day out.